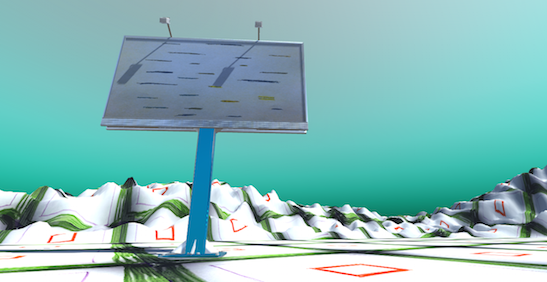 This workshop will be an introduction to Unity3d (a 3d game engine) for artists. Participants will learn the basics of creating digital spaces that can be exported as standalone apps, VR experiences, web experiences, etc. There will be an emphasis on creating handmade/handdrawn textures that will be scanned and used to wrap 3d models and terrains. A portion of the class will focus on presenting students with techniques to get up and running, starting with the Unity3d interface and touching on some light scripting. Participants will finish the workshop having made an interactive 3d world made of hand drawn textures. This will be an excellent way to bring non-digital art into digital space, as well as an introduction to a powerful tool for artists with technology backgrounds. Sarah Rothberg spends her time making animations, virtual worlds, installations, websites, and wearing gopros while doing mundane activities. Her work has been shown at the Tribeca Film Institute, Silent Barn, Grand Central Station, on the internet, and other places.